What would happen to a judge convicted of a DUI in Los Angeles? When a court in Broward County, Florida, found a circuit judge guilty of that offense, she ended up losing her job. The police officer later reported that the Imperato smelled strongly of alcohol, had glassy eyes and was slurring her words. She refused to get out of her vehicle to perform sobriety tests, so the officer arrested her and took her to jail. At the station, Imperato refused twice to take a breathalyzer test. She spent the night in a cell. 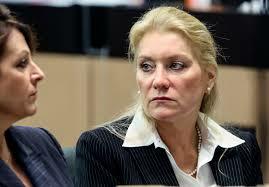 A jury convicted Imperato of DUI and a Palm Beach County judge sentenced her to 20 days of house arrest, 12 months of probation, 150 hours of community service and ordered her to pay $2,500 in fines and court costs. It was her second DUI; the first came in 1988. But Imperato also faced a judicial review because of her DUI conviction. The Florida Judicial Qualifications Commission recommended a three-month suspension from the bench, a $20,000 fine and a public reprimand. But the Florida State Supreme Court, which has final jurisdiction over such reviews, ordered Imperato to show cause why she should no face dismissal from office. Imperato resigned, instead. If Imperato lived in California, the refusal to take a breathalyzer test would have serious consequences. Under California Vehicle Code Section 23612, she would have been fined, lost her license and probably spent some time in jail.